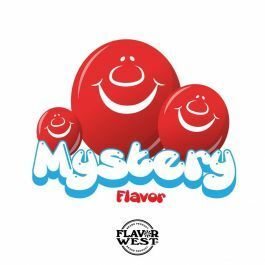 Just as it’s named, Mystery flavor keeps you needing more with its mystical aroma and sweet taste. Type: Mystery Flavor Water Soluble Flavoring. Ingredients: Natural and Artificial Flavoring, Propylene Glycol. USP Kosher Grade Flavoring. Usage Rate: 15-20% for E-use. Flavor suitability: Use for vaper, e-cigarette, bakery or pastry recipes. Specific Gravity: 1.14 No Refunds on Flavoring.